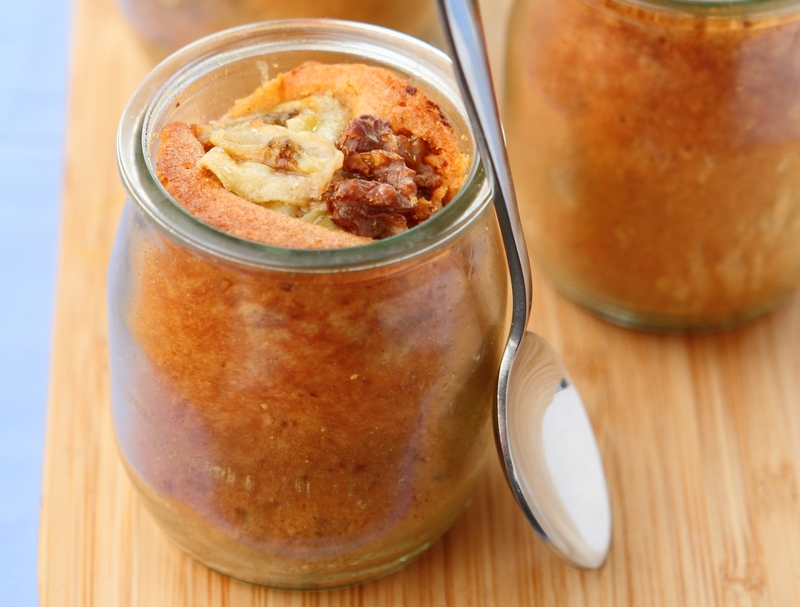 Rather than serving banana bread as a loaf, go creative by serving them in cute jars. This recipe was first published in Flavours magazine. Coat the inside of small serving glass jars with margarine. In a frying pan, melt a tablespoon of margarine, add bananas and sprinkle with 2 tablespoons sugar. Cook until golden brown. In a mixing bowl, cream eggs and brown sugar. Add in cinnamon and flour and whisk until smooth. Then mix in walnuts. Cast into jars and bake for about 30 minutes.